As I may have mentioned before, in fashion people are always looking ahead. By the time the consumer is able to purchase something, most people who work in fashion's jobs are done. It used to be that only those in high end fashion had access to runway shows and the ultimate sneak peak to what was coming, but with the influx of social media and the Internet everyone now has access. It is interesting to live in a time where one can remember the exclusivity of what it means to watch a fashion show. That being said, check out the Louis Vuitton Fall Winter Runway Show by clicking here! 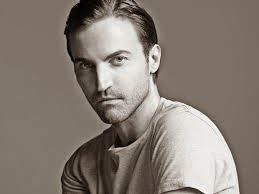 All eyes were on Nicolas Ghesquiere, the former Balenciaga designer who took over for Marc Jacobs. Overall it looks like he kept it classic with a slight nod to the 1970's. I especially loved this photo posted on Louis Vuitton's instagram page. I predict it will be a huge silhouette hit in the coming months.